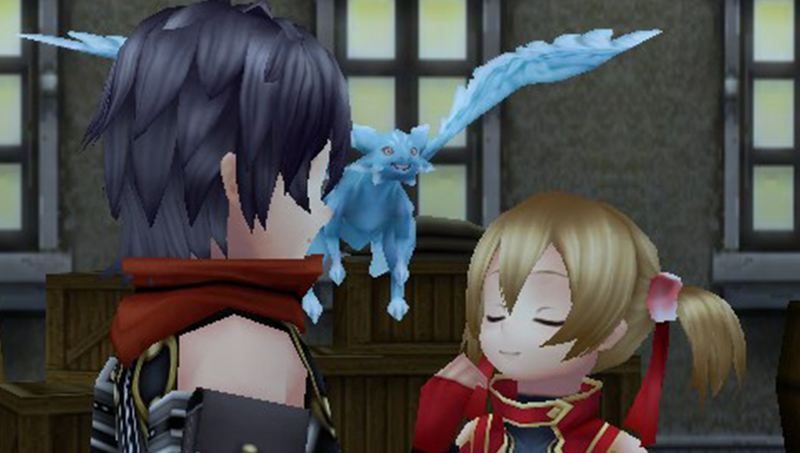 The core of Sword Art Online: Hollow Fragment is actually the PSP game Sword Art Online: Infinity Moment. However, rather than merely adapting the game to the Vita, the developers took the core of Infinity Moment and expanded upon it with improved visuals, a new area to explore, new plot and character events, and new gameplay elements. One issue that becomes very clear as you progress farther into the game is the poor translation quality, resulting in some cringe-worthy Engrish and generally broken conversations. This one of mny example’s. This is evident in dialogue, quest info, item and skill names, etc. It is an omnipresent and inexcusable issue, and it causes problems throughout the game, which I’ll highlight in each respective section. So, with that out of the way, let’s take a look at the rest of the game. After becoming trapped in the virtual reality MMORPG called Sword Art Online, thousands of players must fight for their lives, with their only chance at escape being the completion of the game. The story of Hollow Fragment picks up while Kirito and the rest of the front line are fighting on the 76th floor. 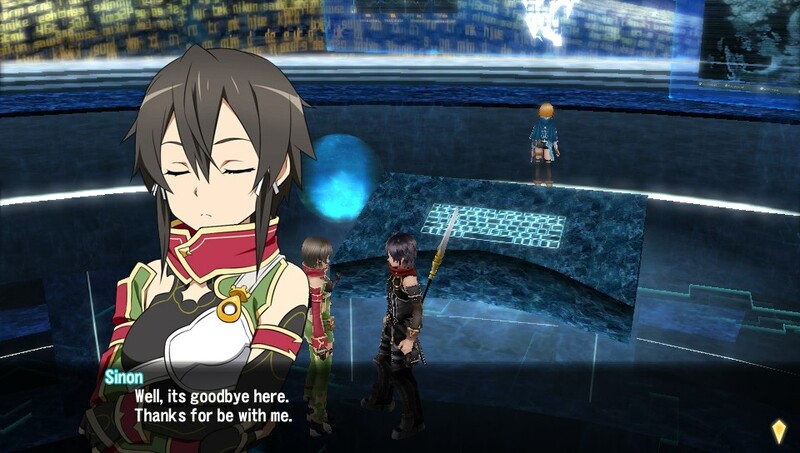 However, whereas Kirito won this battle in the original series, the game takes a different turn – the system glitches and everyone becomes stuck above the 76th floor, while Kirito’s opponent vanishes. Left with no other option, Kirito and company aim towards reaching the 100th floor and completing the game for their freedom. Alongside this, the Hollow Area opens, populated by powerful enemies yet completely unrelated to the completion of the game. 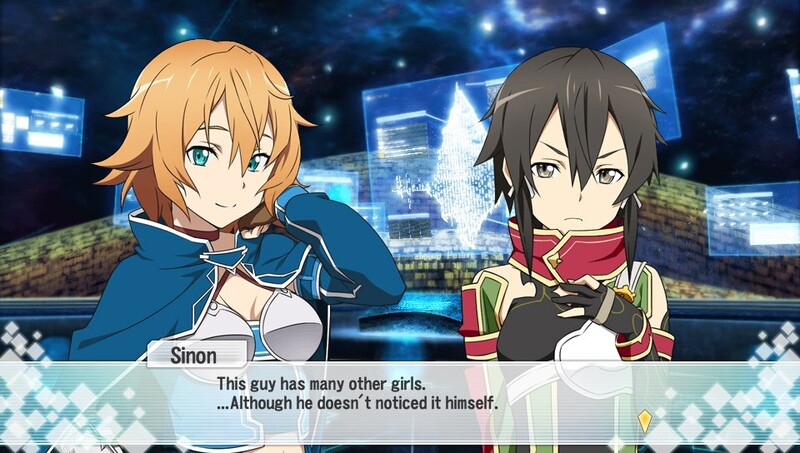 Philia, a mysterious girl who confronts Kirito when he first arrives, is interested in exploring the area, while also harboring a secret about her past in the game. Because the story starts while Kirito and the others are already at the 76th floor, familiarity with the backstory, either via the books or anime, is a must. The game provides a brief recap, but it leaves out many important details and lazily introduces important characters. While it seems as if the story has a bit going for it, the execution is far less serious than it would seem. Since the end goal to complete Sword Art Online by clearing the 100th floor is known at the very start, there aren’t any worthwhile twists in the approach and it is a simple matter of accomplishing the goal. The majority of “plot” happens after clearing each floor of Aincrad, where scripted events involving the main cast will take place. These barely relate to the advancement through the game, and feel very unimportant. 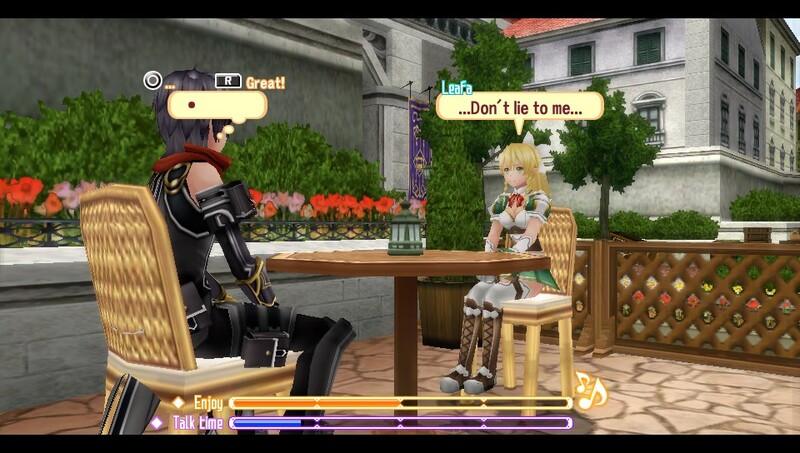 In the Hollow Area, events with Philia are more consistently serious, although it also lacks the more light-hearted atmosphere. The big reveal about her past is extremely underwhelming, but the developing conflict is at least more interesting than clearing the floors of Aincrad. The only characters that matter are the various heroines, and their entire purpose in the game is to be Kirito’s love interests, combat partners, and eye candy. Fortunately, they succeed at two of these things. While Kirito already has a relationship with Asuna at this point in the story, you can spend time increasing your compatibility with each of the seven heroines, including Kirito’s sister/cousin, who is shoehorned into the game with lore-breaking logic and the power of fanservice. While the game includes some sickeningly shallow and incomprehensible “dialogues” that can increase the other person’s affection for Kirito, the meat of the interactions come during scripted events after clearing floors. These range from painfully corny to moderately smirk-worthy, but at least they’re mostly proper conversations. Also of note, while the player has the option to change the protagonist’s name and appearance, he is always Kirito to the other characters. Instead of being just another person playing Sword Art Online, you play the protagonist of the series, and that is made very clear right off the bat. Altogether, the characters in the game are treated rather poorly, given only minimal development during scenes that can be a bother to sit through. While the “dating” should be the best opportunity to learn more about the heroines and flesh out their characters, the system falls so abysmally short that it is a nuisance to spend time on it and they remain as mere fanservice. As a pseudo-MMORPG, the game has many different systems and mechanics that work with and against each other at all times. Because of this, I’ll only touch on the important information instead of explaining every minor detail. 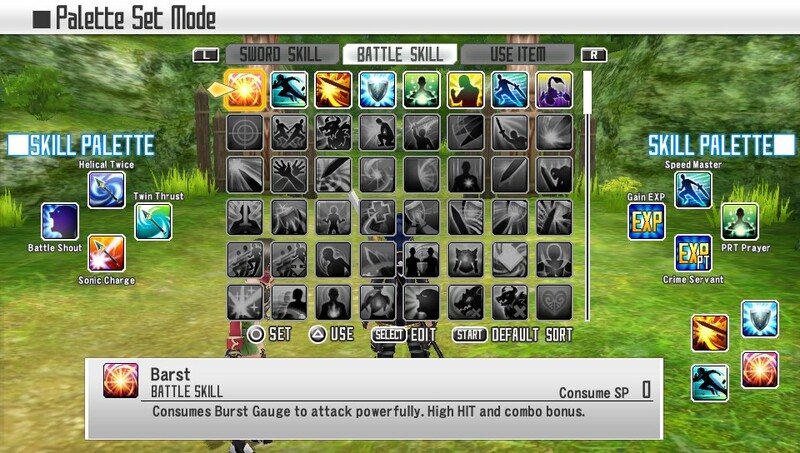 First, the player has access to a skill palette, where they can decide how to place the skills of their choice. These are accessed quickly by holding either L or R, while holding both will provide access to the full list. Skills are unlocked by using specific weapons repeatedly and gaining skill points – these can be spent on sword skills or battle skills shown on a branching skill map. Unfortunately, there are only twelve spots available on the skill palette. When you include basic parrying, stunning, evading, and healing, this already limits the player to eight slots, which can quickly be filled by any combination of sword skills, buff/debuff skills, or items. If the player had the option to cycle between multiple palettes, that would greatly speed up preparation for battle and immediate skill options. Basic attacks, which occur automatically after engaging an enemy in battle, deal negligible damage. To do anything worthwhile, the player needs to rely on sword skills – however, these consume SP very quickly, which naturally restores very slowly during battle, or can be restored via items or the compliment system. To tailor your partner’s AI, the compliment system lets the player commend their partner for making certain decisions, ultimately pushing them towards being an attacker, interrupter, or supporter in battles. Rather than this being useful to change each partner for a specific play style, it is far more useful as a quick and convenient means of restoring some SP. The compliment system and the high cost of sword skills means that the same pattern normally provides the most effective results – sword skill, compliment partner, and repeat ad nauseum. Once the player gains access to sword skill combos and a better understanding of switches, stuns, and buffs, this changes a bit, but remains the foundation of the strategy for every battle. The most striking thing about the game is the lack of noticeable improvement. After the player becomes more familiar with the battle system and the most efficient ways to take out enemies, they will need to grind for levels and hope that they find worthwhile weapons and armor out in the environment. Even after sinking about 35 hours into the game, my character has only advanced fifteen levels and is on his second set of lackluster armor. Fortunately, the challenging difficulty of the Hollow Area is also accompanied by better loot, although it is still few and far between. And while working through the Hollow Area is far more rewarding than breezing through the floors of Aincrad, navigating is a nightmare. Rather than the world map showing how every area connects – as they normally do – it merely shows you dots that represent each individual location. It’s left up to the player to figure out how to get from point A to point B, even when exits from an area don’t always bring you in the expected direction. In the Hollow Area, there are also “Hollow Events,” where the player will need to take out a certain amount of some enemy within a certain span of time, normally a half an hour or so. While this length of time seems excessive, the reason is the Implement system. By completing certain requirements during a Hollow Event, the player can unlock new skills, items, and unique abilities such as skill combos. These implements are completed in a means related to the reward, whether that is complimenting your partner, performing skills, or simply dodging attacks. While these seem beneficial at first glance, the cost is far too great – one example is the ability to combo skills, for which you need to activate 1000 skills during Hollow Events, which is an insane number. On the other side of things, there is a relationship system in the game, where the player will spend time with another character and develop a sort of bond with them. Sadly, this “dating” element of the game is a complete joke. It merely consists of mashing the right bumper over and over again to increase the girl’s mood, allowing you to then hold her hand or eventually carry her around town. If you have the opportunity to carry her, you can be rewarded by some suggestive bed scenes, but they’re not even worth the effort. Worst of all, these aren’t even coherent conversations, and unlike plenty of other issues with the game, this is not the result of the poor translation. The girl will spout out a bunch of jumbled thoughts, and the player will need to respond with one of two nearly identical options, neither of which actually relate to the conversation the majority of the time. In the end, it feels completely tacked on and useless. It’s a mind-numbing time sink – literally hours would need to be spent on it – with no worthwhile reward besides a trophy and a side-story for one of the heroines. Visually, the game is adequate if not particularly amazing. The biggest issue is how dull and repetitive the floors of Aincrad are and how every area is littered with the same enemies. Every forest looks mostly the same, every cave looks mostly the same, and every stronghold looks mostly the same. The main exceptions to this are in the Hollow Area, where there are more vibrant and colorful environments, and many areas that use 3D planes over flat land. Battle effects are never too flashy, but they sometimes result in frame-rate drops. However, since these normally occur during sword skill animations, they do not actually affect the player’s ability to respond quickly. The frame-rate also drops frequently in town, where there are many NPCs walking around, or if the game has been running for a long time. Character design is a big plus for this game, as it carries over the pretty young anime girl appearances from the anime, while also adapting the characters faithfully to 3D models. These characters shine especially well during the few animated cutscenes, which utilize a cell-shaded style and look excellent as a whole. As with the visuals, the general sound quality of the game is adequate without being outstanding. The music is fairly repetitive and rarely engaging, so listening to one’s own music instead seems like the better option. Once again, the Hollow Area provides some much needed variety, but nothing particularly interesting. While there is no English voice option, the Japanese voice acting is good. All of the characters retain their voices from the anime, with new additions Philia and Strea sounding good as well. Altogether, despite my many grievances with this game, it proves to be fun enough and has oodles of content to wade through, even if there isn’t much variety to it and the story is slowly and painfully plodding along. Pina’s face sums up my thoughts on the game. And looks kind of like Nicolas Cage. 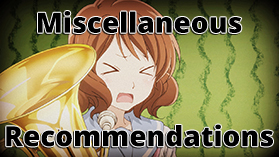 Recommendation – If the idea of a pseudo-MMORPG on Vita interests you, or you’re a fan of Sword Art Online, try it out. Otherwise, you’re better off passing on it. If you’re interested in this game, you need to watch the first fourteen episodes of the anime or read the first two books for context. However, if I were to do an anime review, I would not recommend watching Sword Art Online. So, it basically comes down to this – begin watching the anime, and if by the end of the fourteenth episode you are still interested in the game, get it. If you’re merely interested in the gameplay, I would recommend at least checking out a quick synopsis instead of relying on the minimal backstory provided by the game itself. The game’s story and characters fall flat, but the gameplay systems and loads of content allow the player to easily dump hours into the game without needing to care much about the more lackluster elements. The dating segments are hilarious. The things Kirito says “indeed” to make me wonder how he attracts so many girls. I think that will remain an unsolved mystery. He doesn’t even have the advantage of being overwhelmingly overpowered in this game.